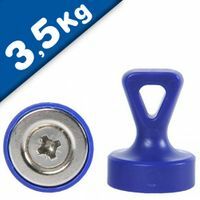 Particularly strong, plastic-covered magnet (Neodymium magnet with handle), size 17 x 22.5 mm. 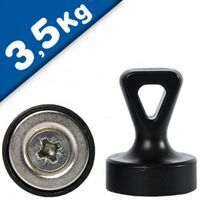 Compared to size and weight this high grip magnets have a really amazing holding force. 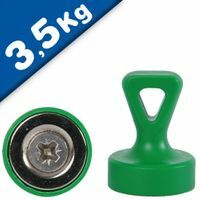 Grip (or skittle) magnet with neodymium inside. 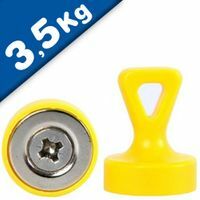 These powerful neodymium Grip magnets with loop can be used on a receptive board to either hold up papers or mark specific points or targets. Tremendously strong. A range of exciting & stunning notice board magnets, ideal for any office or simply super cool designer magnets for your fridge! Everything from stylish planning magnets to super strong skittle magnetsThese magnets are perfectly designed for various applications such as for use on planning charts, notice boards, white boards, fridges and ferrous sheet/tape instant notice boards. These colourful and stylish magnets are attractive in every sense of the word; they’re the perfect partner for any noticeboard and won’t ever let you down. Here, you’ll find magnets for regular whiteboards, glass wipe boards or maybe even magnetic noticeboards themselves. Not sure what type of board you have? Steel whiteboards - Most standard noticeboards are made from thin, white-painted steel with a dry-wipe surface and aluminium frame. Almost any magnet can be used on these boards. Glass magnetic boards offer a more stylish touch. Often frameless, with a coloured background they are made from a pane of glass on top of a thin layer of steel. Because the magnets have to attract through the layer of glass, they need to be stronger. 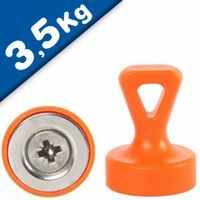 Magnosphere Neodymium Magnets in a plastic casing are going to be your strongest partner at work. 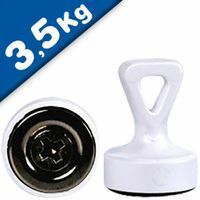 They are available in different sizes and colours: the bigger, the stronger the magnetic force. Neodymium magnets are different from ferrite magnets, they are ten times stronger than ferrite magnets: perfect for many pages and thick papers. You can use them everywhere and everytime a normal ferrite magnet is no longer sufficient. You need Magnets with your Logo or Advertising? We are your partner for Custom Magnets! 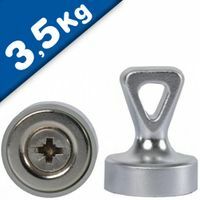 Who supplies high quality Neodymium Grip Magnets with Loop? 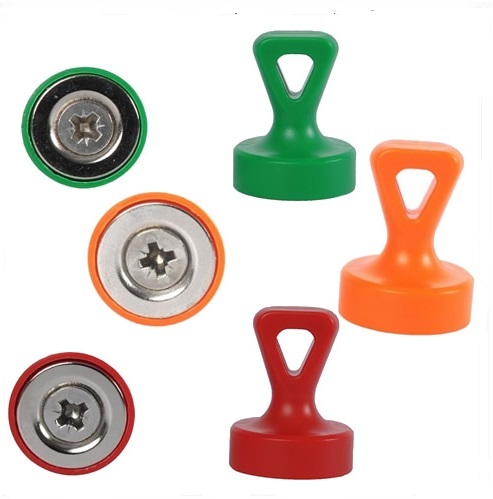 Magnosphere offers best priced Neodymium Grip Magnets with Loop globally to all industries, including Automotive, Aerospace, Military, Advertising, Design House, Electronic and Academic/R&D. Please inquire for custom Neodymium magnets or magnetic assembly. 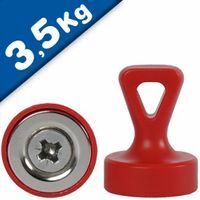 Buy Neodymium Grip Magnets with Loop at Magnosphere and get a better deal!